Fortunately for the Toriumi victim above, she was fixed by Dr. Jay Calvert of Beverly Hills who has been fixing Toriumi victims by continuously since we learned that he is one of only two doctors out there who is skilled with using rib and doing complex revisions. Here is The Lady above’s Jay Calvert Revision of her botched Toriumi nose — only a month or so out. Even less than two months out her nose is narrower than her Toriumi nose was years out from surgery — and it’s so straight and beautiful! Jay Calvert delivered on his word, unlike Toriumi who charged $30 K to do the opposite of what she wanted and the opposite of what he promised (as usual). 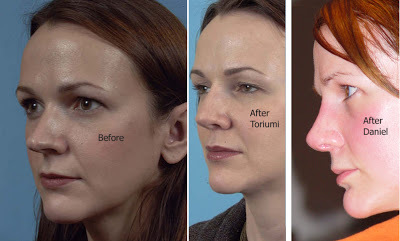 MANY PEOPLE MAKE THE UNFORTUNATE MISTAKE TO GO TO DR. DEAN TORIUMI BECAUSE THEY FEEL THEY NEED RIB GRAFTS TO RECONSTRUCT THEIR NOSE, AND THEY THINK THAT TORIUMI IS THE ONLY DOCTOR WHO IS AN EXPERT WITH REBUILDING NOSES AND WITH RIB GRAFTS. THIS IS THE FARTHEST THING FROM THE TRUTH. TORIUMI CONTINUALLY LEAVES PEOPLE WITH CROOKED, BULKY, RIB FILLED NOSES THAT ARE MADE WITH THE WRONG GRAFTS AND LOOK AESTHETICALLY HIDEOUS. IF YOU NEED RIB WORK ON YOUR NOSE — DR. JAY CALVERT FROM CALIFORNIA IS THE BEST. Also Jay Calvert stores extra rib back where it came from in the chest, not in the scalp. Storing rib cartilage in the scalp is such a weird thing to make humans feel more like lab rats — but Toriumi seems to enjoy treating humans like lab rats. He doesn’t seem to realize that his patients are humans and that they actually have feelings. DEAN TORIUMI LACKS PERSONALITY, COMPASSION, BED SIDE MANNER, AESTHETIC SENSE AND HE LACKS THE ABILITY TO HONOR HIS WORD AND DELIVER THE RESULTS THAT HE PROMISES TO DELIVER. 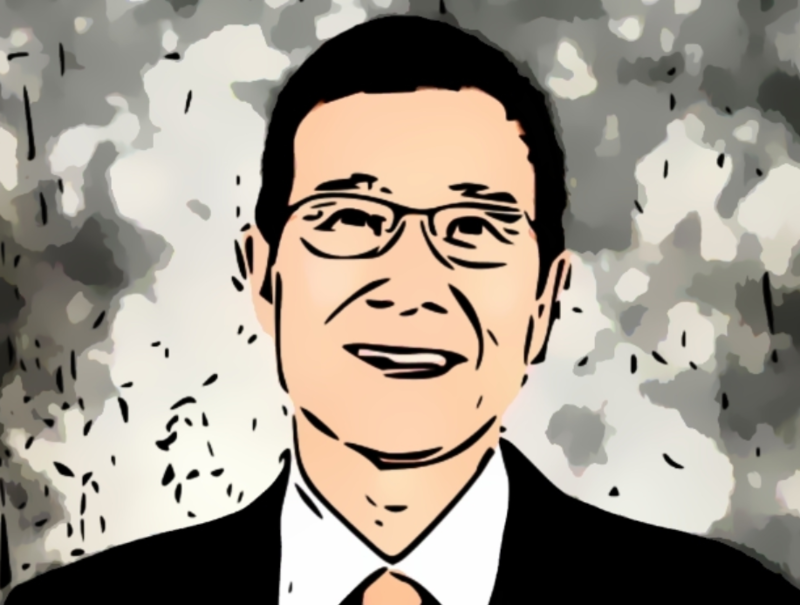 HE IS NOT OUT FOR HIS PATIENTS’ BEST INTERESTS — HE IS PRACTICING OUT OF ARROGANCE AND GREED. ONCE HE TAKES YOUR MONEY, HE WILL TREAT YOU LIKE DIRT AND LEAVE YOU WITH A NOSE THAT IS NOTHING LIKE YOU WANTED. 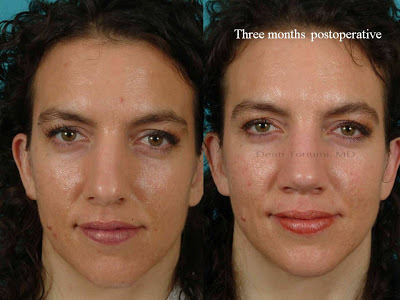 This lady looked much better in her “Before” photo when her nose was narrow and had a columella and a smaller space between the tip of her nose and her upper lip. Smaller spaces above the upper lip are more feminine and attractive, yet Toriumi likes to lengthen the uppler lip distance because he does not like columella show. Toriumi made her look like manly and harsh — the “After” photo is clearly much less attractive, (in our opinions). Yet, she claims to be a happy patient. So, you just have to wonder about the taste of the patients who are happy with their Toriumi outcomes. However, this lady’s result is actually much better than most of the Toriumi noses I’ve seen, and I’ve seen at least 20 in person — this lady’s Toriumi nose is not crooked — many Toriumi noses are extremely crooked. Still, poor lady, she would have looked so much prettier if she had gone to someone like Jay Calvert or Andrew Frankel. 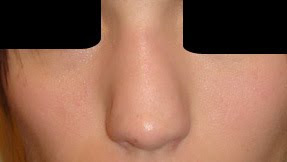 Asian noses tend not to have columella show, but it is normal and desireable for non Asians to have columella show, and it often increases ones’ attractiveness. Toriumi imposes Asian aesthetic preferences on non Asian patients — eg high raidixes, alar base reductions, no midvault. Toriumi’s noses lack natural contours and also tend to have circle shaped nostrils instead of ovals. Toriumi lacks respect for peoples’ ethnicities and tries to impose the aspects of his personal ethnicity on people who are of completely different ethnic backgrounds. Shortening the columella also tends to make the face shape appear rounder and wider, not oval and balanced. Toriumi is set in his ways and will not budge from his hideous aesthetic preferences of high radixes, no columella show, no midvaults, etc. It’s not worth even trying to talk to him — I wasted my time and money flying out and consulting with him on over five separate occassions before my surgery, and every time he promised to give me a low radix, extra columella (bird-n-flight), narrow, etc. He did not do one thing he promised. Dean Toriumi is a habitual liar — he lies like he breathes, and he will promise to do whatever his patients ask him to. He even tells them to bring photos with them to the surgery — then once you’re put to sleep he does the exact opposite. 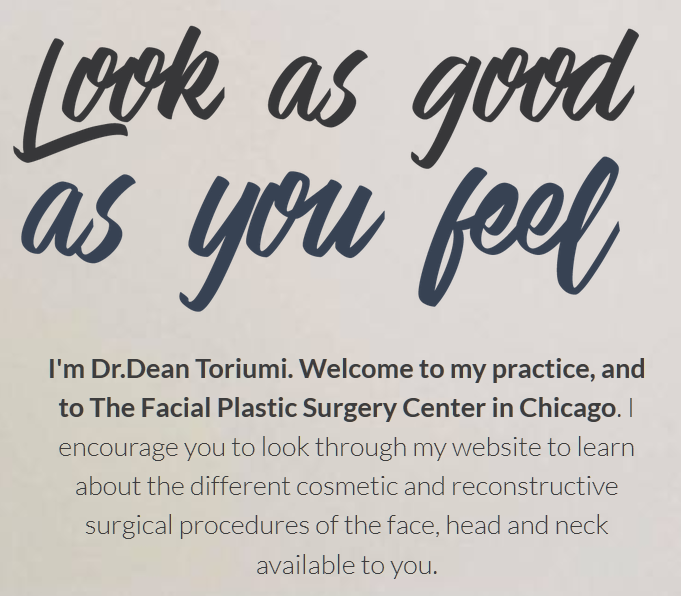 It is Ironic and Frightening that a Man Like Dean Toriumi somehow got the reputation of the “Best Nasal Reconstructive Surgeon”. However, several other charlatons have also shared this undeserved “title” with him including the infamous Richard Ellenbogen who calls himself the “World’s Best,” and Michael Evan Sachs who has had over 70 lawsuits against him (and finally lost his license). Toriumi, like his infamous peers, has loads of unhappy and angry patients. Toriumi is good at monitoring the internet chat boards and sending legal threats to boards that have posts from unhappy patients. So, their posts get deleted — this resulted in Toriumi’s patients creating their own support group, and that group is expanding daily — each day we are contacted by numerous angry and unhappy Toriumi patients who want to get their Toriumi noses fixed and want to talk to others who are going through the same emotional pain that Toriumi has caused them to go through. 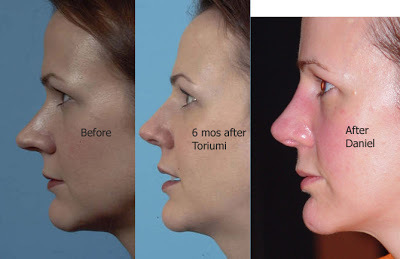 Going to Dr. Toriumi is one of the biggest ripoffs there is — he’s made millions and millions mass producing crooked, wide, ugly noses on people by somehow creating a name for himself as the “best nasal reconstructive surgeon.” He’s the one people go to to “fix” other people’s botched work. However, instead of fixing people, Toriumi often leaves them with more deformities and much less money. How does someone who is not even a plastic surgeon have the nerve to charge $30,000 for ugly, wide, crooked, deformed nose? 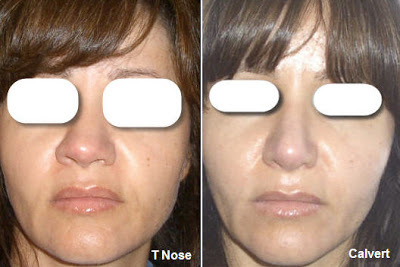 Charging $30,000 for a rhinoplasty is insane! People give him their life savings because they are desperate and think he is the only doctor who can fix them. Instead, Toriumi ends up deforming them further and cleans out their hard earned money! Dr. Toriumi is unscrupulous, unconscionable, and a plain out RIP OFF ARTIST. Toriumi is a madman who has managed to deceive and ripoff countless people. This man has made so many people poor, unattractive, sad, hopeless and physically ugly — Toriumi should retire from noses and do other procedures that leave people with less financial, emotional and physical damages. Perhaps Toriumi should become an autopsy doctor — at least then his patients won’t have to look in the mirror and see what he did to them. Still, he can remain a surgeon and cut everything up — the alars, the chest, the scalp, etc –Who else needs to cut up and scar up so many body parts for a rhinoplasty? One lady, Riri, posted her botched Toriumi outcomes and her emotional story how even well after a year out from her Toriumi nose, her nose was very wide, crooked, dented, had visible scars, etc. She posted how people mistook her ethnicity and how Toriumi lied to her and treated her badly. Riri’s photos were on Rhino4you for about 10 minutes before they got taken down. Soon after the entire Rhino4you board was also closed permanently — Suspicious??? Unhappy Toriumi patients are also not allowed to post their bad Toriumi outcomes on other plastic surgery forums such Makemeheal and MissJ’s Board. Similaraly unhappy Ellenbogen patients are also not allowed to post about how Ellenbogen botched them on Makemeheal either. A lot of plastic surgery boards are biased and paid for by plastic surgeons. Toriumi tries to silence his victims and take away their first Ammendment right. Dr. Toriumi even has them sign waivers saying they can’t rate him on doctors’ rating sites. Dr. Toriumi has harmed many people and left them with irreversible damages and visible external scars. Beware of Dr. Toriumi and realize that many of the positive ratings for him are most likely written by him, his staff, his family and his publicists. Dr. Dean Toriumi is not respected among his peers and is not considered a good doctor. If you read positive testimonials “from happy patients” on internet chat rooms and doctors’ rating sites — be very skeptical. It’s more important to take to hear the negative ratings. 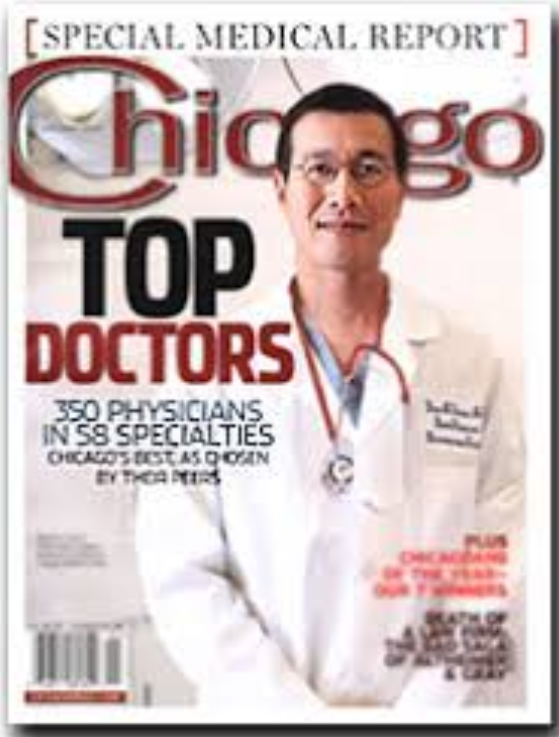 Dr. Toriumi even asked me to bring with him photos of how I wanted my nose to look and to write down the details largely on a paper — even though I told him and showed him pictures all six times that I had to fly out to Chicago to consult with him before my surgery. He kept wanting to see me to see if my skin seemed “stretcheable enough” after having been made extremely short and flat by Richard Ellenbogen of Beverly Hills. After less than six months out from my Ellenbogen surgery, Dr. Toriumi insisted that my skin was stretcheable enough for him to rebuild my nose and to make it long and project the tip. (I had gone to Richard Ellenbogen to make my tip less pinched, not to chop my nose off). The morning of my surgery, I was trying to get out of it, as Toriumi’s own anesthesiologist was pleading with me not to go through with it (my blood cooagulation levels were very abnormal. I told Dr. Toriumi, I did not want to have surgery, and I even told him I thought the abnormal blood levels were a sign from g-d to not have surgery (in my mind I was thinking g-d was sending me a sign not to have surgery with him) — I should have listened to my gut. I had a gut feeling that Toriumi was lying to me and that he was not going to do a good job. Toriumi, said to me: “I promise you — I will make your nose just as you want it. I promise extra columella. I promised everything. Don’t you trust me? Don’t you?!!! Toriumi completely intimidated me and coerced me into surgery while my brother was right there pleading with him not to make me have surgery with such abnormal blood levels. (I really did not feel right about having surgery with him). Toriumi kept telling my brother and me that he’s the best doctor there is, etc. Toriumi stopped surgery on me hours earlier than he was supposed to because he said I was too messed up by Ellenbogen to fix and that my skin was not stretchable enough. Toriumi took my $30,000, left me botched, even let his fellow operate on me without watching him, and then Toriumi told me to go on living my life looking deformed — after promising he would fix me! Another important fact to know about Dr. Toriumi is that he does not perform all of his patients’ surgeries. Dr. Toriumi let his fellow operate on me without overseeing what his fellow was doing — my rib was stored on the bottom of the side of my neck and looked like a giant tumor — my rib was supposed to be stored under my hair line in my scalp. Also, Toriumi cut wedges out of my nostrils and made them assymetrical and with visible scars — without my informed consent. My nostrils still hurt even almost two years later from these wedges he cut out from them. To make matters worse, I had to fly out to Chicago again to see Toriumi because he was supposed to relocate my rib to the proper place, but instead he removed it and threw it in the garbage without my consent. (I can’t believe my stupidity for wasting another $1000 and an entire day more of my time to fly out to have him relocate my rib — I should have known not to trust him as he lied to me and betrayed me on every single level). He lied to me and said he would relocate it, then he threw it in the garbage. Now, I’ll need another rib scar for my next surgery since Toriumi botched me and threw away my extra valuable rib cartilage. TORIUMI DO YOU THINK I WOULD HAVE WASTED AND ENTIRE DAY AND AN EXTRA THOUSAND DOLLARS JUST FOR YOU TO THROW MY VALUABLE PRECIOUS RIB CARTILAGE IN THE GARBAGE? Toriumi replied to me: “You know about Nora right?” (Nora is a former victim of Richard Ellenbogen who Toriumi fixed). Toriumi coldly replied: “If you don’t like the outcome, don’t look in the mirror. Don’t think about your nose any more. Just go on and live your life. No one else can fix a nose after I’ve worked on it . . . It will rot off your face if you have another surgery . . .
Toriumi walked out on me and slammed the door behind him. I felt the deepest sense of violation, betrayal, and shock. I cannot believe that I had the huge misfortune to get lied to, violated, and deformed by two of the absolute worst rhinoplasty surgeons in the world. However, I am trying to make sense of thess tragedies by helping others to not suffer or get deformed, violated, lied to, betrayed, or ripped off like I was. I consulted with many other plastic and reconstructive surgeons who told me that it was unethical and unsafe for Toriumi to have performed surgery on me at less than six months out from a previous rhino surgery. They also told me it was incredibly unethical and risky for Toriumi to have performed surgery on me with abnormal blood coogulation levels. Toriumi put me in great risk of complications, and these risks are the main reason that Toriumi was unable to properly reconstruct my nose and give me the results that he had promised to give me. Eight of Toriumi’s colleagues told me that my skin had not had enough time to heal, and that it takes at least ten months, ideally twelve months for skin to heal well enough to stretch out. “DR.” TORIUMI IS NOT OUT FOR HIS PATIENTS’ BEST INTEREST OR THEIR SAFETY and SATISFACTION. TORIUMI IS IN THIS PROFESSION FOR GREED AND EGO. ONCE YOU PAY HIM, HE WILL TREAT YOU LIKE DIRT. ONCE YOU’RE PUT TO SLEEP, HE WILL DO WHAT HE WANTS TO YOU — ESPECIALLY IF HE KNOWS IT’S THE OPPOSITE OF WHAT YOU WANT. DR. TORIUMI IS NOT TO BE TRUSTED AND DOES NOT STAND BEHIND HIS WORD. HE SHOULD NOT BE ALLOWED TO PERFORM SURGERY ANYMORE — HE HAS HARMED AND CONTINUES TO HARM COUNTLESS PEOPLE. DR. TORIUMI YELLS AT HIS PATIENTS AND WALKS OUT ON THEM WHILE THEY ARE TALKING TO HIM. I DON’T THINK TORIUMI IS EVEN CAPABLE OF MAKING NOSES THAT ARE STRAIGHT OR NARROW. HE IS NOT A SKILLED OR PRECISE SURGEON. I BET HE CUT MY SURGERY HOURS SHORT AND LEFT ME BOTCHED BECAUSE HE WAS LATE FOR A GOLF GAME. TORIUMI’S PATIENTS’ ARE AT THE BOTTOM OF HIS PRIORITY LIST. BTW, What sort of ego maniac/narcissist thinks that he is such a great surgeon that no one else could ever fix his “work”? Toriumi either is delusional or wants people to think that no one else can fix them because he doesn’t want his peers to know what a terrible and incompetent surgeon he is. Toriumi would rather have his patients live life looking deformed and being sad and miserable than let his collegues see his terrible “creations”. Again — more proof that Toriumi is arrogant, unethical, and not out for his patients best interests. However, one can look at the pictures in this blog and see that ugly, wide, crooked, shapeless botched Toriumi noses can, in fact, be fixed without their noses rotting off their faces like Toriumi threatens. Please save your friends and family and go to someone who cares about his patients and does good work. Dr. Jay Calvert, Dr. Richard Davis, Dr. Guyuron, and Dr. Andrew Frankel care about their patients’ satisfaction and hold their word accountable, so when their patients feel there are still areas that need to be addressed, the above doctors perform additional surgeries to get their patients to a point where their patients are happy. Additionally, the above doctors honor their word to begin with and do what they agreed to do during the consults. If you asked them for low radixes, extra columella, etc — that’s what they will give you, unlike Toriumi who will not only give you the opposite of what you requested, but then will tell you to move on with your life with a results that are the complete opposite of what he promised to give you. Furthermore, the above doctors do not make the ridiculous claims that Dr. Toriumi makes about the need for “compression exercises and pulling out nostrils with q-tips.” Toriumi insists his patients see him in Chicago every two weeks for the first two months after surgery so he can look at them for less than a minute and tell them to push on one side of their nose for 10 minutes every single hour while using a q-tip to pull out their other nostril for 10 minutes every hour of every day for an entire year — so that their nose will become straight! (Their nose will not become straight from those “exercises” — that’s just another absurdity Toriumi uses to waste his patients’ time and money to travel out to see him, and to blame his patients for the fact that Toriumi made their noses crooked because he is a sloppy doctor who cannot properly graft noses. I’ve met dozens of Toriumi victims with very crooked noses — all that bulge out to the left and are “S” shaped. The compression exercises did not make any of their noses straight! 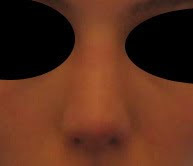 Good doctors such as Calvert, Frankel, etc do not insist their patients’ go visit them every two weeks and to tell their patients the absurd claim that “compression exercises and pulling out their nostrils with q-tips” will make their crooked noses straight. Dr. Toriumi actually had the nerve to tell me that my nose was so crooked and messed up because I wasn’t flying out to see him every two weeks to see where I need to push on my nose and pull on my nostrils with q-tips. Plus, Toriumi’s own suite mate, Dr. Reagan Thomas said that compression exercises are a complete waste of time and do absolutely nothing. Many other collegues of Toriumi aslo said the same thing. Additionally, Dean Toriumi charges significantly higher fees than anyone else, yet “Dr.” Toriumi has the worst personality, lies to his patients, doesn’t deliver what he promises, and has an extremely high percentage of unhappy patients. I am so concerned! After breaking her nose in an accident,I spent my hard earned savings for my daughter to have “the best”… I see many of the the same problems listed here happening to her. I could cry! Her nose does not look like the promised photo. I dont know what to do!!?? ?